30 Weeks: Yes, I Want To Eat My Placenta! Let’s all approach this topic with a sense of humor. Like this TIME article that is hilariously written by a dad whose wife wanted to encapsulate her placenta. His video made me laugh out loud 5 times! (And is a good snippet to what goes on during encapsulation). So back to my placenta, hell yeah I want to ingest it!! I heard on Pregtastic that when you are pregnant you have more hormones in your body than your total hormones for the rest of your entire life. And then just after birth – you have the lowest amount of hormones you will ever have. It makes sense to me that this drop is so significant it can do crazy things to the mind and body, especially considering how much a little birth control pill or PMS hormone flux can do. Placenta eating is nothing new to mankind. In fact, I read a hypothesis on one website that said the practice’s benefits may have evolved for antibody/immune system support but that with later human immune system evolutionary advancement (which animals have yet to catch up with) combined with a “refined” modern society, it went out of style. I have no idea if that hypothesis has any truth to it, but it’s interesting to ponder. Notice I said ingest. We are on point to have my placenta encapsulated. However, I can’t say the thought didn’t cross my mind to save $250 and just eat the thing! Matt is a very adventurous eater and I have no doubt that if grilled placenta was for dinner, he would try it. It sure would save money to just make a placenta smoothie. I’ve heard of people blending it up in the vita-mix as an ice cream milk shake and then freezing the cubes to be used in future smoothies. It really does sound like a good idea to me. But I can swallow a pill no problem, and I also see a benefit to taking the pills a little at a time over a long period of time over the whole placenta in one sitting. My mom, who is going through menopause and writes a menopause blog, even found this article with some evidence supporting placenta ingestion during menopause. I wonder if I should keep my pills locked up : ) I do intend to freeze any leftovers for later in life. I’ve heard popping one during PMS can actually help symptoms (just personal reports, of course). So why am I so excited to take placenta pills? -First I listened to this Pregtastic episode. The personal stories shared had me totally convinced of its effectiveness reducing postpartum depression and increasing milk supply. -There is some scientific research supporting it, although nothing dramatic that has doctors prescribing placenta to all new moms. I imagine a PPD study would just be rather difficult to make objective. This site summarizes the suspected benefits and includes the limited research summaries. So does this one. It make sense to my gut (haha) that the replenishment of hormones, iron, prolactin, oxytocin and more mentioned above have positive effects. But when it comes down to it, the anecdotal evidence is enough to convince me. -There are TONS of testimonials – some are quite remarkable! This pregtastic blogger is glad she did it. -And even if it’s all placebo effect – I want the placebo effect! I see no reason not to give it a try. So our hospital bag will include a cooler and ice packs, and we have an encapsulation specialist on call to visit our home up from Richmond in the days after giving birth. Luckily our hospital is cool with giving you the placenta. I will let you know how it goes! More and more I am finding this intriguing! Sounds like your family supports the idea, but did anybody take extra convincing? I know my family would think I was nuts! I’m getting mine encapsulated too! I’ve had 2 friends that have done it so far and they said their mood/attitude difference before and after starting the pills was like night and day. I’m really hoping it will help my milk supply. I had a 30 weeker last time around and my milk never really did come in as it should (I even imported non-FDA pills from New Zealand) and ended up pumping not enough for 1 bottle daily for 8 months. My doctor was on board with the idea too. Her opinion was that she hadn’t seen enough research to support it, but was sure it wasn’t harmful so she said ok. The doula that did our hospital tour said she’s seen lots of benefits and told us what we needed to bring to get it home from the hospital too. I’ve already alerted my sister that she’s going to be the transporter from the hospital to our house. She asked if it was because she was the person to get least grossed out. She has a sheep farm and has delivered many lambs by herself over the years. I think you have a really healthy attitude about this and it makes me really happy. I run with a big hippie circle so I’m surrounded by this, but it always pleasantly surprises me that people outside my friends share the same thoughts. I just announced to my husband last night that I want to do placenta encapsulation. I’m 14 weeks, but have already started researching local encapsulation options (I think I found a good option last night!). I tried to explain what encapsulation was in the easiest of terms for my husband – poor thing was a bit grossed out at first! I’m positive he’ll get all the way ‘on board’ and I’m even going to bring it up in our next appointment with the Midwife – I’m *assuming* they’ve had plenty of mothers go that route since it’s a Birthing Center. I know already that I’m a ‘candidate’ for PPD, as I’ve struggled with depression previously, so I’m trying to be as proactive as possible and nip it in the bud before it even starts! I know he’s super-busy, but is there any chance you’ll be able to get Matt to write a post for baby KERF? Everyone always loves his guest posts, and it’s been a while since his last one…. I’m sure I’m not alone in thinking a post from his perspective regarding all things daddy-to-be would be a fantastic read. I’m so appreciative of how informative, diligent, and candid your posts are in documenting all angles of a first pregnancy. Getting some daddy views in on it would be such a perfect addition to what’s already here. Can you please try and talk him into a post? What type of post did you have in mind? Oh, I’d leave it totally open to whatever he wanted to say, but I guess if I had to nail it down, the things I’m most interested in hearing about are (in no particular order): how it felt when he found out you were pregnant, what aspects of your pregnancy have been the most exciting/most difficult to deal with, his thoughts on becoming a father, changes in himself and his relationship with you, and how it feels to be the non-carrying half of a pregnant couple. Rightly so, pregnancy is generally all about the mama – so I’m curious to know, even in general, what about the papa? Thanks for considering my comment! Oh my gosh, how did I miss those? Thanks so much for pointing them out to me, and yes, please convince him to do another!! Sorry, a few more nosy questions came to mind… What thoughts and feelings were experience upon learning baby KERF is a Mr. Baby instead of a Ms. Baby? Did finding out the gender change anything about thoughts, wishes, expectations, fears, etc? How does he feel about that saying that a woman becomes a mother when she finds out she’s pregnant, and a man becomes a father when he holds the baby for the first time? What’s the weirdest thing he’s noticed about you since you discovered you’re pregnant? The weirdest about himself (physical, mental, emotional, whatever)? If he had to choose just ONE lesson he has learned from his own father, which one would he choose to pass on to his own son? Does he have sympathy pains/cravings/etc? The list goes on and on, but I’ll quite here since I don’t know if he’s even open to answering one of these, let alone a thousand. I want to get mine encapsulated due to the fact that I hear it makes a HUGE difference in postpartum depression and milk supply (and all the positive things I have heard on Pregtastic!) …..but the nearest person that does it is over 3.5 hours away, one way, and I don’t see how that will be feasible during the couple days after labor….. I asked a closer health food store what other things they may suggest I take when I was discussing it with them and their jaws hit the floor- I wanted to say “NOPE, NOT CRAZY!” to them! You could just blend it up!! There are videos online that show you how to do it yourself if you’d want to go that route instead of trying to get it to someone so far away. My husband and my sister prepared and encapsulated mine for me. It really didn’t look that difficult and the benefits were really worth having it done, at least in my case. 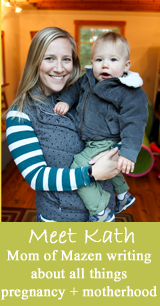 It really comes down to me being tired/busy/a new mom that week – otherwise I totally would. Wish I had a friend who could do it for me and then I could do it for her someday! Right on. I really meant that for Julie H since she said the closest person to her was 3.5 hours away and, garsh, who wants to make that trip with a newborn? In my case, I got family to do it because the cost was prohibitive for us at the time. If you have the services available near you and the means to make it happen, by all means have someone do it! Really? How to do it online?! ….I would be a little more weirded out by it then but the benefits are just soooooo outweighing any of the weird factor for me. …..Was it hard for your husband and sister to do? It really wasn’t. I watched the whole process and they had an instruction sheet I had found from a local encapsulator. My husband was a little grossed out by the idea of the whole thing, but my sister steamed and dehydrated the placenta, so by the time he had to do anything with it, it hardly looked like a placenta at all anymore. heh. I’d say go for it! Hmm, I didn’t know that any hospitals would be on board with letting you keep the placenta. When our planned home birth turned into a hospital transfer, I informed the staff of my wishes to keep the placenta and they said it was not possible, it had to be disposed as a “biohazard.” My placenta is not a biohazard, thanks very much! So nice of her! Castaway placenta! you have such a sense of humor! i cracked up when reading the part about matt grilling the placenta! the more i read about this, the more i’d like to try it as well. good luck & let us know how it goes. Thanks for writing this! I didn’t really think about it with my first, and have a feeling my husband would send me off to the funny farm if I seriously suggested it…. but think I might try with the next one. The Time article had me laughing so hard I was crying! Another great post on Baby KERF. 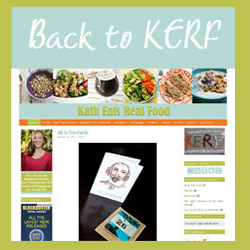 I will really miss this blog if it’s reincorporated into KERF after he arrives! I’m planning on encapsulating mine — my doula offers it as a service and for the post-partum benefits alone, I’m in! Wish I had known about this idea when I had my kids. My friend who birthed at the old Martha Jeff did take her placenta home (stored it in freezer for a while) and then planted it under a tree in honor of the baby. Glad you found such a good option for you! I actually thought it was kind of beautiful when it came out- but then I was giddy with joy and relief after birth. Wow, more power to you! There was no way I could eat my placenta – the way I thought about it, if it’s something my body is actively trying to reject and expel (like vomit, urine or feces), then I’m certainly not going to go against my body’s wishes and ingest it again, ha! But I imagine it can’t really do much harm, I’m sure it’s not like some organs that can be fatal when ingested (like polar bear liver, ha!). I know a lot of people save their placentas and plant them in the yard (under a new tree or bush) in honor of their new baby. That, I think I could get behind. Haha but vomit and feces are waste – nothing good in them! Oh yeah, no, that’s how I see it – the baby’s used up everything good in the placenta by the time they are born, so your body disposes of the waste that’s left! I think my midwife told me that my placenta had started to degrade when she looked at it, and that’s normal, because the lifespan and usefulness of the organ was done? That’s why they won’t let women go past 42 weeks of pregnancy, because the placenta starts to degrade? Again, I don’t think it does any harm it eat it, but I couldn’t get myself out of that mindset in terms of my placenta – it’s like how some dogs do eat vomit and feces, but you won’t see me trying it! i get your point but I will say that it’s encapsulated when it’s still viable (unless you are 42+ it hasn’t started to degrade) AND if you get depressed you would be taking hormones that were either synthetically made or from a pig or a cow……. I’d rather take my own that my body made to nourish my miracle! This is exactly what I was wondering – can you eat it if it has started to degrade? My first kid was born at 40 weeks and my placenta had degraded. I never ate my placenta with either kid, just seemed like another extra expense. Millions of people have healthy post-partum experiences without it, so just seems unnecessary to me. But if I were to do it, pill all the way. I couldn’t imagine eating in a smoothie. I was just working on my post about how I am planning on encapsulating and eating my placenta as well! You would think that all that processing for encapsulation gets rid of some of the “nutrients”. 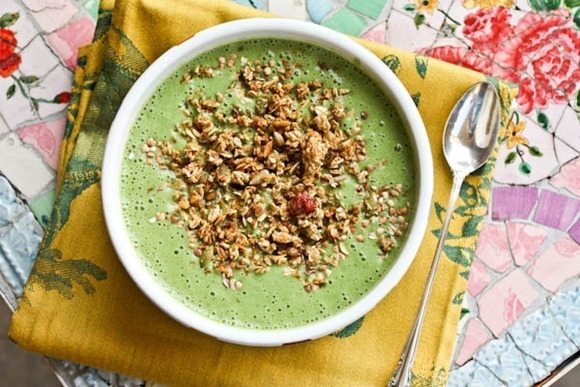 Have you read that people have benefits from ingesting in one form better than another? I’ve seen many placentas and they are nothing I would want to eat, but more power to you! I haven’t. Unfortunately this is just not a well researched topic! I have definitely heard that the dehydrating process gets rid of some of the nutrients, but not enough that the pills cannot be beneficial. (Don’t have a cite, sorry, I think this came up in a conversation with my herbalist). Interesting! I had never heard of eating or encapsulating the placenta until recently. I do not believe that I could eat the actual placenta, but if it was in pill form, I would not mind. I would eat almost anything if it was supposed to stabilize mood/hormones!!! I had never heard of this until you wrote about it a few months ago (even after I had my baby). Sounds…interesting. However, extra milk production was not what I wanted! I hated the full feeling that never went away. Can’t wait to hear! Well, at least it will be locally grown! I think a point that can be made in this conversation is that even if you encapsulate, you don’t have to end up taking the pills if you feel you don’t need them. However, if you don’t save the placenta and you are having supply or hormonal issues, then you have to turn to other methods to remedy those. I have a history of anxiety and was nervous that the challenges of being a new mom would bring those tendencies back out. I encapsulated, but ended up not taking the pills because I had a pretty blissful postpartum experience and didn’t want placenta pill hormones to mess with that in either direction. But I was so glad to have them on reserve. I’m 33 weeks now and will do the same thing again. I am just starting to take my temperature , prenatal vitamins etc and got off the pill 2 weeks ago. so we are starting our journey to prep my body (not actively trying to get pregnant until Oct as we are going on our honeymoon in SONOMA in Oct!) and we are very excited! I already told my hubby I want to do this and since we read KERF together having a post by YOU I think will help my position haa THANKS! I’m considering having this done. That said, I’m still a bit queezy (especially the past few days), and have to admit this post made me gag a little. I have a bit of an overactive imagination and was picturing the smoothie, etc. Woops – there I go again! I had mine encapsulated just in case. I didn’t end up needing them. BUT I keep them in the freezer for when I’m not feeling great. I was going to use them for my periods but I never had one between babies….he is now 13 mo old and I’m 7 mo preggo so I haven’t needed them still! I figure they’ll stay good in the freezer for a while. After reading all the comments I’m so surprised I’ve never heard of this, being that it seems so popular. I talked to my doc about this and she had some concerns about its affect on nursing since its so chalked full of hormones and that other mammals consume it because its a survival instinct so that other mammals won’t come and eat the newborn babies. She said there really wasn’t enough research out there to make her really recommend it, but if I wanted to do it, our hospitals allow for us to leave with it and there are places here (Portland, Oregon) that encapsulate it. I’m still on the fence despite reading several testimonials of the positive effect. I guess I’ve still got about 87 more days to contemplate it! Did you read anything about it adversely affecting breastfeeding? Nothing, no. Only that one woman’s story, which like I said, I’m a bit skeptical about. And really if anything does feel off, you can just stop taking it asap. Had I known then what I know now, I would have totally encapsulated mine! The whole going from most in life to least in life hormonal shift phenomenon is just a scientific reality and anything that can be done to mitigate that massive shift and make it a little gentler and easier is welcome! I have known TONS of women I met both online and IRL in various holistic and natural parenting groups and the like who did it and with great success. mothering dot com (and their magazine) and compleatmother dot com <— alternative and amazing little rag. TONS of info about encapsulation and every other choice you need to think about, too. I encapsulated mine and have ingested the pills since giving birth. I believe it helped my mood afterwards (I was a sobbing mess a few times before I remembered to start taking them), but I can’t say it helped my milk supply. I barely make enough for baby girl, but then I haven’t taken the pills in a while because I was feeling much better emotionally. So yeah, I’m not much help but I’m definitely glad I did it so I could have them available if I needed them. OMG Kath, you are so funny! You won’t regret it. I had mine encapsulated with m daughter and I’ll never have another baby without doing it again! Great choice!!!! Hormones tend to hold up very well in processing. You may remember the phase of ‘glandulars’ (I’m not sure if this was a global phenomenon, but here in NZ, it became popular to encapsulate animal glands as natural hormone replacement). The problem was inconsistent levels, not potency. You many also be aware of thyroid hormone overdose caused by contamination of hamburger with bovine thyroid glands. Cooking, freezing, these things don’t seem to destroy hormones. I had never heard of this until Caitlin (HTP) did it, but I’m very intrigued… The concept seems to make sense to me, and I can imagine that I’d be happy to have something natural to help with my changing hormones! I was so excited to read your post. I heard about doing this after I had my baby. She’s now 10 months, and while I don’t want to dwell on the past, I seriously wish I had done it. I’ve had some thick postpartum anxiety and depression. Thank goodness for a homopathic doctor and time. With my next pregnancy, I will for sure take advantage of this. Thank goodness there is a great company that does this where I live. All the best to you and your family! i have never heard of this!! i turned to my mom and asked her if she ate her placenta, and she was like “WHAT?! i’ve never heard of that!” i was like, yeah after child birth. so yeah, but i think i’ll get mine encapsulated, too! Hi Kath, loving your blog as usual! I found out I was pregnant right around the time you started posting about your pregnancy on KERF, so I’ve had a blast following your story from about 10ish weeks behind! Thank you for this post! I have only personally known one other woman who chose this route (not even encapsulation but actually cooking it at home! ), and I just have not heard enough overwhelmingly compelling reasons firsthand to try this out myself. Even if I did, I won’t lie, I just think it’s… icky 🙂 But I like to hear other people’s thoughts and I appreciate how candid your posts are. Yes 🙂 Of course I knew that haha. I’m a groupie. If I had post partum depression the first time it would definitely be somethihg I would have tried with my following pregnancies. But since i get gestational diabetes, the placenta degrades faster so i would feel like it would be more “waste” than anything at that point. But I guess it can’t hurt so why not? I actually worked in the lab of the researcher who discovered POEF early in my scientific career -plancetohpagia was quite the welcome into neuroscience. The caveat with consumption is that the ingestion should ideally take place immediately after birth- while the placenta is a body temp. Proteins denature (fold) when heated – removing their functionality and leaving behind only tissue. So even dehydration would destroy the proteins. Placenta on the grill – thanks for that image. Now I’ll never eat grass-fed beef steak again! To each her own, and I try to be open-minded, but the whole “eat the placenta” thing is NOT for me. It’s a great idea. I have a friend that often freeze dries placenta at his factory and puts the powder into capsules. It’s not gross, you should definitely do it. I should mention that freeze drying is the correct way to handle any fragile protein product. Joel Stein’s article and video literally made me laugh out loud… what a trooper! We eat meat from other animals, eggs from chickens (which if you think about that turning into a baby chick…does seem kind of gross)….caviar, LIVER! A placenta is another type of organ/meat with lots of good stuff inside, seems silly to waste it! Just wanted to say good for you for sticking to your decision, and also that I’m planning on encapsulating mine too! My reasoning is the same as yours. Potential benefits (even if they are placebo effect) and no risks really. Plus, it’s not *that* expensive. If it cost $500+ I’d reconsider, but for a couple hundred it seems like a worthwhile investment to me! where did you find the lady to do the encapsulation Kath? Research done on taking estrogen post menopause show decrease in wrinkles, etc… however, it is showing an increase in cancer. The new theory is that we don’t age because we lose hormones, we lose hormones because we age. Same idea here We evolved to lose the hormones fro pregnancy for a reason, probably partly because of breast feeding, babies are not supposed to take in the high levels of hormones. Animals eat the placenta as a survival instinct. As a biologist, I know that the endocrine system, especially of a baby, shouldn’t be messed around with. It ay make yo feel good in the immediate, however, research the long term issues. Try reading academic publications, like Cell or Nature before random websites that don’t follow proper experiential protocol. Good points. I don’t think there are any long term studies. I do plan to use the pills conservatively. Thank you for sharing! It is so great to hear first hand information about a topic that can make so many people squeamish! Hi! I’m currently 27 weeks pregnant and having fun re-reading your berf blog week by week! I was wondering if you did end up encapsulating and ingesting that placenta and whether you think it made a difference in your recovery/postpartum health?